It was a 10 year celebration at Mega Bingo on Saturday, 24th February with cake AND a crowd of 5,000 singing happy birthday along with Fat Cat! 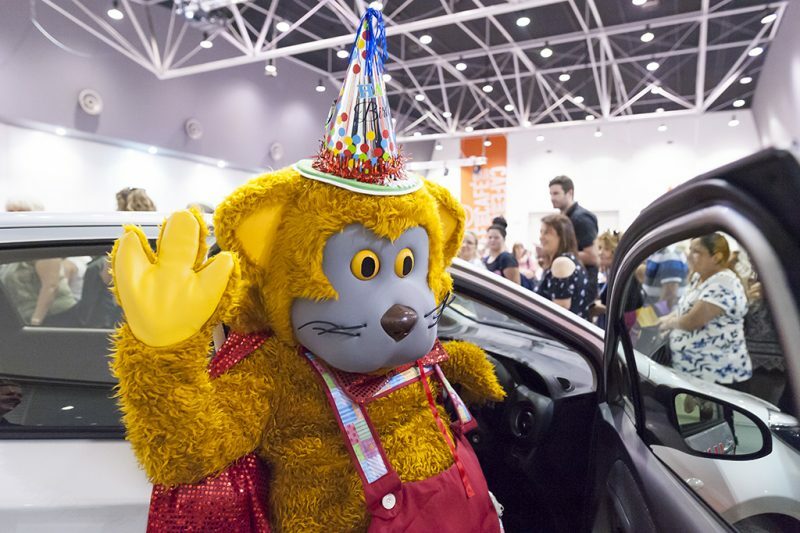 The event made over $80,000 at the home of Telethon, the Perth Convention and Exhibition Centre (PCEC). Over 5,000 people joined us to play bingo which saw over $90,000 in cash won on the day. One winner won $30,000 in one game, shaking and barely able to speak to her husband on the phone! A raffle that resulted in $40,000 for Telethon, saw Annette drive away in a brand new Toyota Yaris valued at $14,990 thanks to Galleria Toyota. Thanks to all the volunteers from Mal Atwell Billiards & Bingo who helped us out on the day, along with PCEC management, 6PR, Mellen Events, St Johns, Viva Photography and team and Galleria Toyota for being on board to make this Australia’s (and probably the world’s) biggest and most successful bingo game.